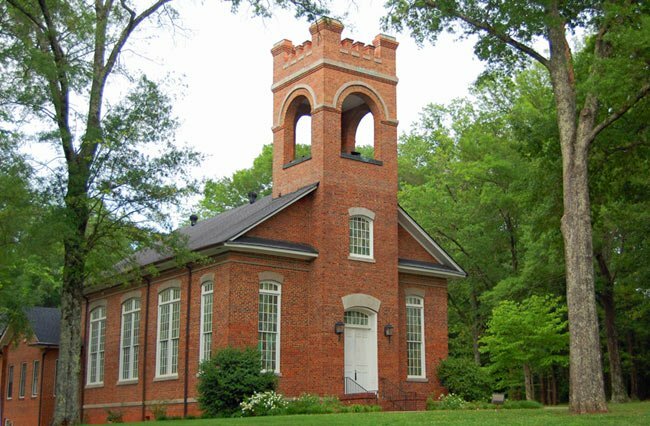 The sanctuary and bell tower seen in this picture were built in 1912 and are part of the second church structure built for Van Wyck Presbyterian Church. When the original church, built in 1884, was replaced, lumber from the interior and exterior was recycled and used in local homes. The historic Van Wyck community is located in the panhandle of Lancaster County between the York County line and the North Carolina state line. Originally, an Indian settlement, Europeans began to settle here in the mid-1700s.